More information about location and tickets: here. Straight to ticket sales: here. 6:00 AM – Vendors only; prep time. 7:00 AM – On-site registration opens. ICS memberships (with discounts for conference registration, ICM items and admissions). 7:00 AM – Vendor areas open for all attendees with tickets. 8:00 AM – Talks begin. Mid-Morning Breaks – Signings, vendors, breakfast items, coffee/tea. Photos and networking. Noon – 1:00 PM – Lunch via the hotel’s prepared bag lunch available for $10 each. Or lunch on your own at sandwich shop. Mid-Afternoon Breaks – Signings, vendor breaks, afternoon snack and drinks. Photos and networking. 6:00 PM – 7:30 PM – Dinner on your own. Vending room will be open. 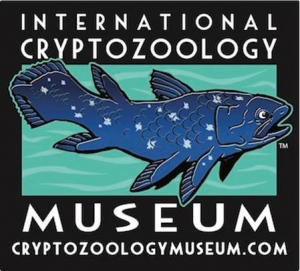 The International Cryptozoology Museum will remain open until 7:30 PM. Big J’s Chicken Shack next to the Museum will be open until 7 PM. Vendors close shop by 7:30 PM. 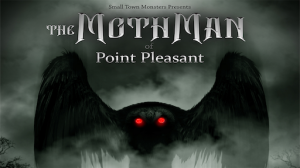 7:30 PM – 10 PM – The First New England screening, with director Seth Breedlove’s introduction of the new 2017 film, The Mothman of Point Pleasant will begin at 7:30 PM. 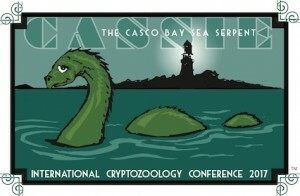 Small Town Monsters & International Cryptozoology Museum tables remain available until 10:30 PM. Special VIP Tour packages are still on sale: here.